Here are a couple of hints: two of the players are teammates and two of the players used to wear the same jersey. 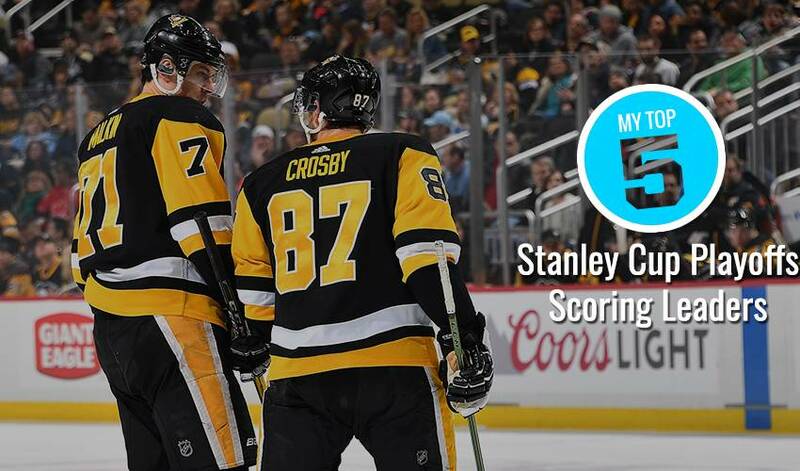 Pittsburgh’s megastar captain has the most playoffs assists (110) among current players, accompanied by 61 goals, 18 power-play goals, nine game-winning tallies, and is averaging 1.132 points per playoff game. The 31-year-old Pens centre leads all active players with 24 post-season power-play goals. Malkin has also netted 10 game-winning markers, to go along with his 60 goals and 100 assists. He also has one short-handed tally to his name. The classy San Jose Sharks veteran is just four assists shy of 100 helpers for his playoff career. Of his 27 post-season goals, Jumbo Joe has netted eight game-winners, along with 10 power-play markers. Thornton’s former San Jose teammate is now bringing his talents to the Toronto Maple Leafs. The Saskatchewan native leads all active players with 70 goals and 16 game-winning tallies. He’s also lit the lamp 23 times on the power-play. The Ducks captain is hoping to help lead Anaheim to what would be his second Stanley Cup. With 37 goals (six of them game-winners) and 83 assists in the postseason, Getzlaf has been a steady force on the power-play, tallying 48 points with the man-advantage to his name when Lord Stanley on the line.